The Naturetis competition in our last newsletter got you entering in your droves. Thanks to all of you who did enter (and for your cute notes and smiley faces). 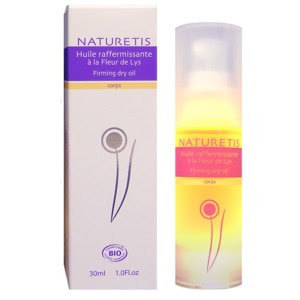 The lucky winner of the Naturetis Firming Organic Body Oil was Rachel Lee from Bolton who was a very happy lady indeed when we let her know. The oil's soothing, skin-strengthening blend takes an effective (and all natural) stab at cellulite and stretch marks. The combination of essential oils of lily, arnica, argan, macadamia, grapefruit, rosemary and cypress tightens, smoothes, and flattens those pads of pudge that are the stuff of cellulite.